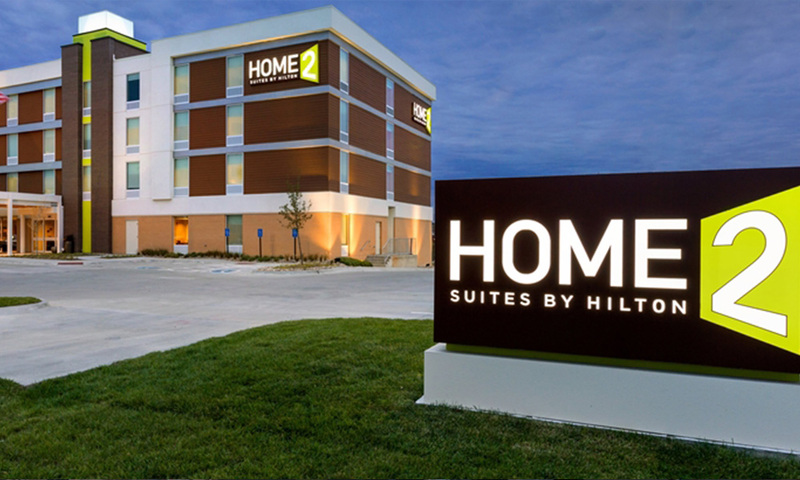 Home2 Suites by Hilton is a “hip extended-stay hotel experience that offers great deals and affordable rates for guests.” It has been the fastest growing brand in Hilton history! The brand is known for its stylish accommodations and modern take on affordable luxury. The goal of this project was to install a lighted rooftop “beacon” – one of the Home2 brand’s signatures – at the new Roseville, CA location. 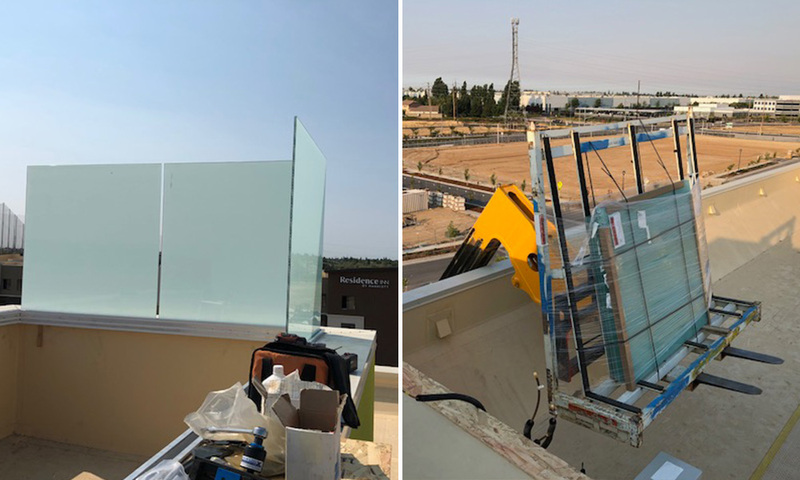 We enjoyed the challenge of building this customized frosted glass beacon. A very unique application of our fully frameless railing system. 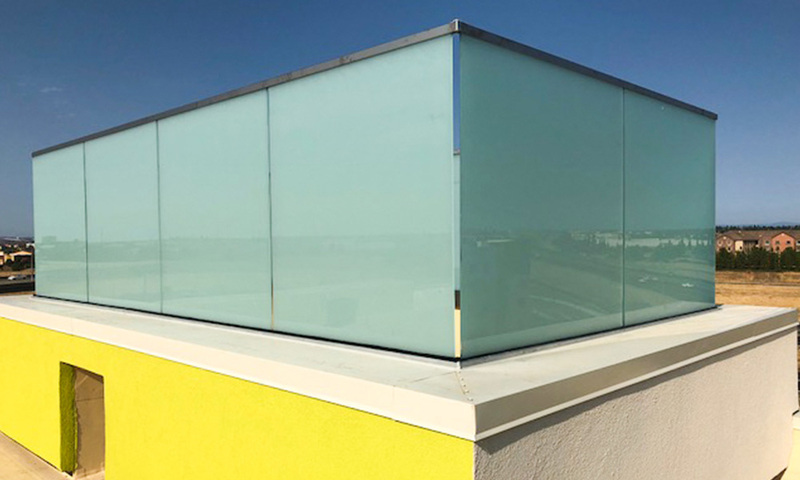 We matched the brand aesthetic with our Fully Frameless Fascia-Mount Base Shoe system and a specialty frosted laminated glass. 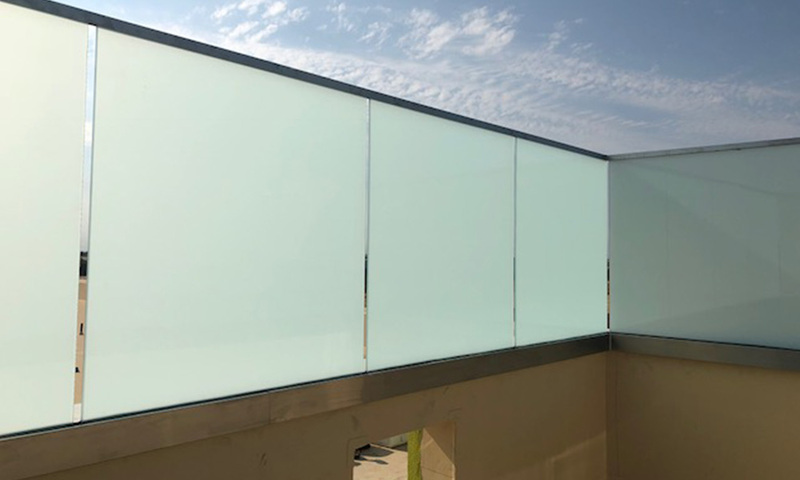 This is our strongest glass railing system available, engineered to withstand winds of 150mph. 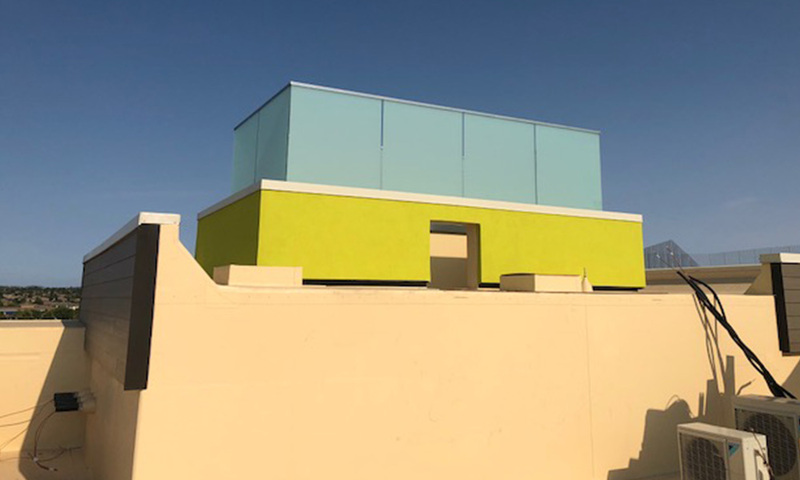 A perfect choice for this high-rise rooftop application. A brushed stainless steel U-channel finishes it off, tying the sleek look together and giving additional stability. The final result? A beautiful frosted beacon that glows from afar and displays the brand’s new signature. 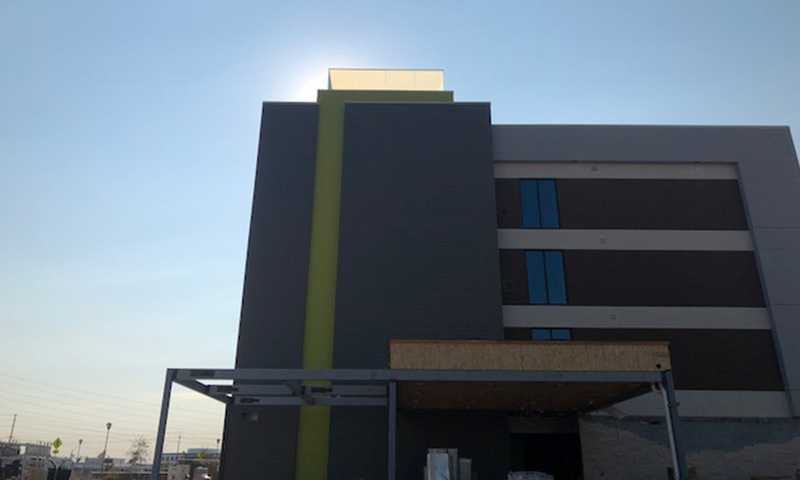 It fits perfectly with the modern style of this new Hilton hotel and is perched high enough to be seen and enjoyed from any distance. Our team has experience with commercial and residential projects of all scopes and sizes. Contact us for a free quote today at sales@aquaviewfencing.com or 877-229-7034.